When I was a kid, my Dad’s best friend was a miller. He had a water wheel set up on a little river and it provided the energy to crush wheat grains and turn it into flour. I was always fascinated by the amount of energy required to make that millstone grind the wheat stalks into a fine powder. Of course, it did not hurt that the miller’s wife was an amazing baker! I would spend entire afternoons watching the wheel turn. Then my dad’s friend, Maurice, would lift the heavy bags of flour to store them, then lift them again to load them on the truck, and one last time when he would deliver the flour to local bakeries and restaurants. The guy had arms bigger than my head! Pure muscle, zero fat. He definitely did not need any kind of gym to get his daily workouts! One day, my dad went over to help with the deliveries because Maurice was short staffed. All my dad had to do was help load the bags of flour in the van. The bags were 50 kg bags. That’s roughly 110 lbs. It’s heavy. Needless to say, my dad could barely move the next day! The point of this story is that this is how Fibromyalgia related to muscle weakness feels. It’s hard to imagine for healthy people. It’s like I’ve skipped leg day at the gym three weeks in a row, and my arms can’t take it anymore. At the same time, it’s like I’ve nothing but leg presses for three weeks, and I can’t walk from the kitchen table to the sink. According to Debilitating Diseases, Fibromyalgia relates muscle weakness is something Fibro Warriors don’t even notice anymore on most days. We only think about it at random times, when simple tasks become a major hassle. For example, washing my hair in the shower is hard because it requires my arms to be overhead for a few moments. I have to wash my hair in steps, and not just pour-lather-rinse. Walking two blocks sometimes seems like an insurmountable hurdle. It is exerting and, to be honest, humiliating. No one would ever dare say these things to a cancer patient, or someone with a broken leg. Why is it OK to shame Fibro Warriors? 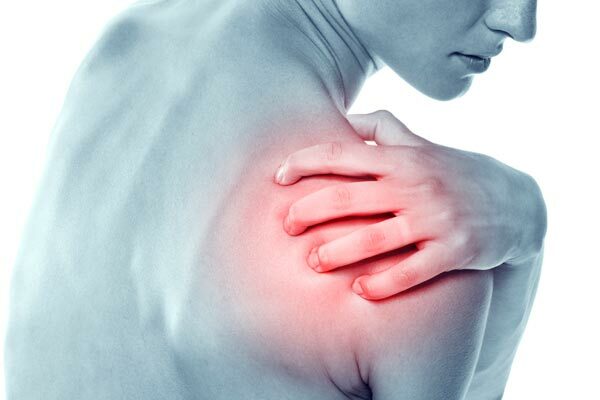 Muscle weakness related to fibromyalgia is one of those infamous Invisible Symptoms. On the outside, the person looks 100% healthy. Yet their body is fighting with itself and wrecking havoc inside. What is fibromyalgia related muscle weakness? First, we need to establish the basics: fibromyalgia is a chronic condition that affects nerve signals and muscles. The list of symptoms is long, and I have combined a list of thefibrowarriors.com. The etymology of fibromyalgia is literally fibro- (Latin – fiber/nerve) + myos- (Greek – muscle) + algia- (Latin – inflammatory pain). Therefore, fibromyalgia is a nervous system disorder affecting the muscles and manifesting through inflammation throughout the body. The uniqueness of fibromyalgia is that the pain “travels,” meaning it can affect any part of the body at any given time, with no warning and no logic. I know that most illnesses and chronic conditions have no rules, but fibromyalgia is the winner when it comes to unpredictability! That is actually partially why fibromyalgia is so misunderstood. With that said, fibromyalgia related to muscle weakness is prevalent in a majority of Fibro Warriors. Some will describe it as the kind of pain one may experience after running a marathon, or doing 200 push-ups. The Other will have the sensation of being unable to perform simple tasks, such as open jars or lift a vase. Is there a difference between true and perceived muscle weakness? There are two distinct types of muscle weakness. True muscle weakness occurs when there is a neuromuscular disorder affecting the patient. It means that at no time ever are the patient’s muscles capable of doing the job that is asked of them. You will find true muscle weakness in people with Muscular Dystrophy or Muscular Myopathy. This is not the type of muscle weakness observed in most Fibro Warriors. Perceived muscle weakness is when despite having muscles built to handle a task, your brain refuses to acknowledge this information and makes it impossible for the patient to actually perform simple tasks. So if we were to compare muscle weakness to dunking a basketball, true muscle weakness would be being too short to reach the rim, while perceived muscle weakness would be having a sprained ankle. True weakness means you can never, ever do it. Perceived weakness means you could have done it last week, the band you may be able to do it tomorrow, but today you just physically cannot jump. Is fibromyalgia related muscle weakness proximal or distal? Proximal weakness is when the pain happens in the muscles closest to your core: abdominal muscles, back pain, neck pain, shoulders, gluteus, hips. The pain is in close proximity to your body. Distal weakness occurs in muscles that are further away from your core: feet, legs, hands, arms. The pain is a good distance from your body. Now that we have established the difference between distal and proximal pain, you can forget all about it. Fibro Warriors are equally susceptible to proximal and distal pain. So why even talk about it? Simply because if you only ever experience one type of pain – distal only or proximal only – you may want to consult with your doctor as you may have something else than (or in addition to) fibromyalgia. How severe is Fibro related muscle weakness? Guess what? There is no easy answer. Ok then. Good talk. In all seriousness though, the severity of the weakness or pain associated with it varies greatly from person to person, from day to day and from area to area on your body. Muscle weakness is always concerning and is never “normal.” Even when you just worked your muscles relentless, muscle weakness is not normal. You may be able to recognize why your muscles are weak, but ultimately, your body is telling you that you shouldn’t push it that hard anytime soon. Muscle weakness has been classified in different grades or degrees of pain. It was described in 2008 by Hughes Ouellette in his book Orthopedics Made Ridiculously Simple. Grade 4: Movement against the external resistance with less strength than usual. Grade 5: Normal strength.In summary, if your strength isn’t at a 5, then you may want to talk to someone about it. It may be nothing at all. But it also may be fibromyalgia. I still don’t know what muscle weakness really is. Can you help me? Well… if you insist… let me get technical. Imagine a construction site. It is a giant and complex work site. Everyone has a role, no matter how small it may seem, and everyone better do what they’re supposed to do, or nothing g will get done properly. Your brain is like the foreman. He sits on a platform and oversees the entire project. When the foreman takes a break, how can we make sure everything is working well? Usually, it’s not. Employees will slow down a bit if the boss is not watching. Your muscles put less energy into your step. Your eyes want to rest. Your lungs slow down. And nothing gets done the right way. When the boss comes back, (your brain “wakes up”), things are a mess. Nothing is what it was supposed to be. He barks orders like mad (sending signals left and right). The workers (your muscles) get frazzled and work twice as hard (oh, hello there, muscle weakness). The directives (nerve signals) get jumbled and some get lost. The foreman (your brain) receives updates that are not right (nerve response). In order to “fix” everything, and let’s be honest, because Mr. Brain is freaking out a bit, the foreman sends orders that unfortunately are not commensurate to the job (pain signals). The brain may even tell some workers that they need to take a break, even though they should be the ones working (muscle weakness, you rascal!). From the outside, the building is standing straight and nothing looks wrong. But on the inside, workers are running every which way, confusing this for that and that for this. It’s a mess. The foreman doesn’t even know what to do anymore. Oh hi, Fibro Fog. How can I manage fibromyalgia related muscle weakness? Get ready for the platitude de rigueur: don’t overdo it. I know, I know: it’s the number one advice anyone gives anytime fibromyalgia is involved. The sad truth is that it is actually a very sound piece of advice. And probably the hardest piece of advice to follow. Hands down. Look, fibromyalgia related muscle weakness is nothing to scoff at. It is real. It has devastating implications for Fibro Warriors and it is seldom managed. It doesn’t look super bright from my vantage point. But there is no need for chronic muscle fatigue to become your normal. You can’t surrender to muscle weakness. Show it who’s boss! Maybe you could split your gardening activities over a couple of days. Maybe you could take a break instead of walking three miles straight. Maybe you could go to bed 20 minutes earlier. I’m not here to tell you how to live your life. But there are very real ways to take it easy on your body. No matter what, no one knows your body better than you. Do not let anything or anyone make you feel like your muscle weakness is negligible. If your body is telling you to slow down, slow down. Above all else, keep fighting the good fight, fellow Fibro Warriors! You’ve got this! As someone who has both Fibromyalgia AND Myasthenia Gravis, one of my biggest frustrations is having someone (sometimes even my doctor) ask if my muscle weakness is due to the Fibromyalgia or the Myasthenia. REALLY ????? If I’m flaring, or if I’ve just allowed myself to get tired, it’s anyone’s guess! As far as I know, there’s no real way to differentiate, and chances are it’s both!